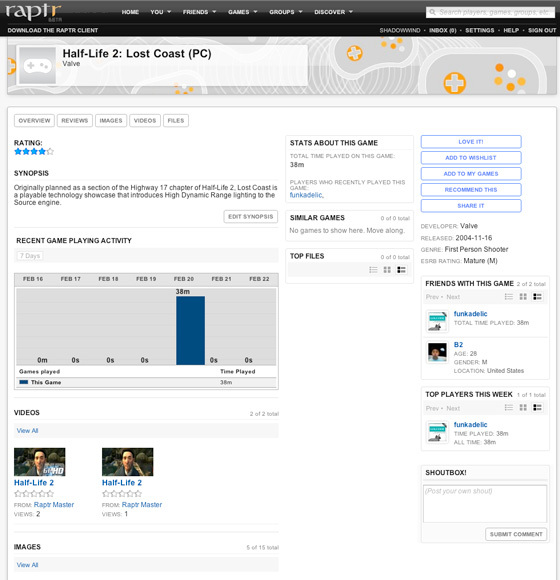 Yesterday I wrote briefly about new gaming startup Raptr, formerly called GXL, Inc. Founder (and celebrity gamer) Dennis Fong has now demo’d the product on stage at GDC, and I’ve had the chance to see the product myself. 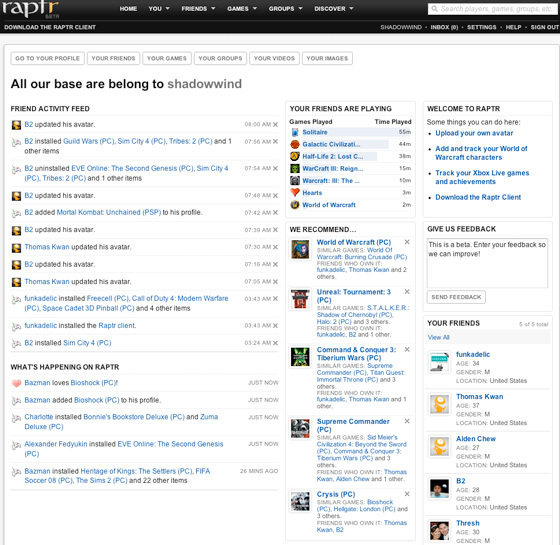 Approximately 100 people are currently in the beta, all friends and family to the Raptr team. Today the company is taking signups for new beta users on their home page, and will be letting a couple of thousand new users in shortly. A full launch is expected in a couple of months. As I mentioned yesterday, Raptr has two components. A Windows based software download that keeps games up to date automatically, and a website social network that pulls game data in from the client as well. The product is similar to Valve-only Steam, although it has a lot more to offer users and is developer agnostic. Today, Raptr supports 1,000 titles, including World of Warcraft – Steam has a hundred or so. 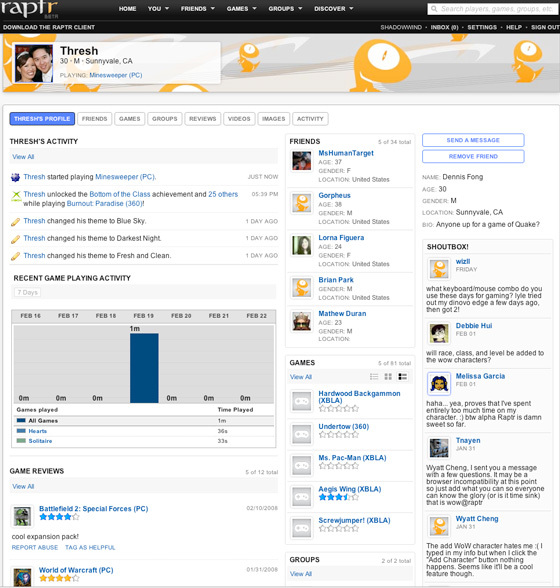 The website is a game-centric social network. Users add friends and can see what games they are playing, installing, updating, uninstalling, etc. You can also see what games your friends are playing right now. Raptr looks at the games you play, and how much time you spend, and compares that data to other players to recommend other games to you that you might like.